100 years of movie theater history in Maynard, MA. 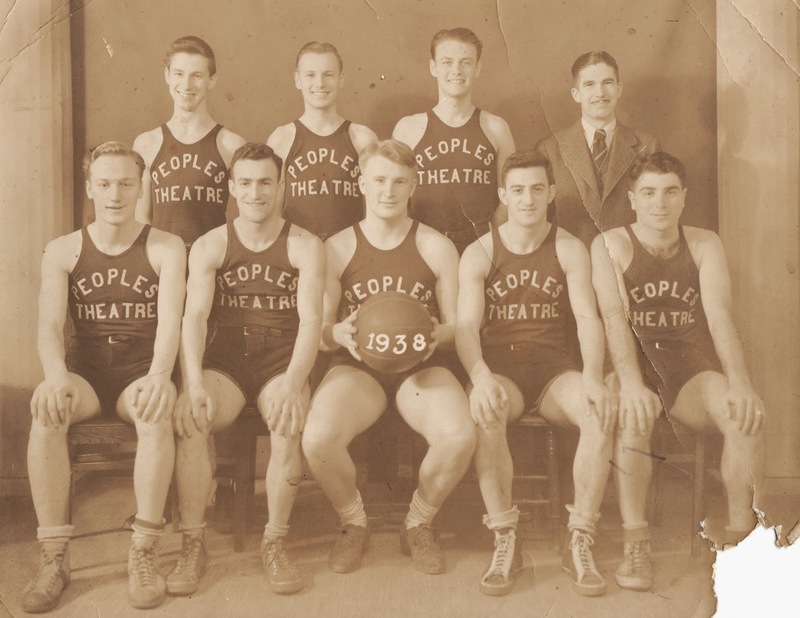 For a few years, 1949-1952, there were three theaters in Maynard: Colonial, Peoples and Fine Arts. Colonial had lowest ticket price. Peoples was largest, and only one with a balcony. Fine Arts had only one screen until 1969. First showing of a motion picture in Maynard was at the Riverside CO-OP (now site of Knights of Columbus building) in 1902. There is also mention of a 1909 exhibition of Sherman's moving pictures at same place. Newspapers of that era mentioned S.E. Sherman as a have-projector-will-travel impresario. By 1914 there were occasional showing of features, shorts and newsreels at Colonial Hall. These were silent films in black and white, oft accompanied by live music, typically a solo pianist. Intermissions featured performances by local singers. Back then, showing movies was a dangerous business. Until around 1950 all film was made of cellulose nitrate, a highly flammable substance with a chemical composition akin to gunpowder. Film exposed to fire or a spark could burst into intense flames, releasing copious, toxic fumes in the process. Once ignited it could not be easily extinguished. There are fire safety movies showing cellulose nitrate film burning underwater! Luckily, Maynard never suffered a theater fire when an audience was present. Theatre, Burton Coughlan (in suit) managed the team. He was 34 at the time. The first location with regularly scheduled movie showings was the aforementioned Colonial Hall, second story of 65-69 Main Street, in business from 1916 onward. Bartholomew 'BJ' Coughlin was one of the owners. Older residents of Maynard remember that nine cents got you in and one penny bought candy. Riverside Theatre (then the second floor of what is now Gruber Bros. Furniture) started showing movies in 1922, run by Samuel Lerer. Riverside's run ended with a fire in 1934. Colonial was still in business as late as 1952. The first building specifically designed to serve as a motion picture palace was Peoples Theatre. The building still stands at 14 Nason Street, converted to office space. Initially two groups of local businessmen were scrambling for downtown locations and funding. James A. Coughlan, Hector Hobers and James J. Ledgart organized the Peoples Theatre Company and sold shares for $25. The co-operative movement was very strong in Maynard at the time, so the idea of local people being able to buy into ownership and share the profits was well received. In fact, the decision to go for crowd-sourced funding was instrumental to choosing the theater's name. The second group (BJ Coughlin, the Naylor brothers, others) had land at the corner of Nason & Main, but not quite enough money. The two groups merged. Peoples Theatre opened on May 6, 1921 with seating for 700 people (250 in the balcony). A huge chandelier graced the lobby. Tickets were 25 cents. Circa 1951 the price of a ticket was up to 44 cents for adults, 16 cents for children. The theater closed its doors around 1959. Peoples Theatre Office Building. Click on photo to enlarge. Although the Coughlans, father James and son Burton, were both involved with Peoples, Burton decided to build his own theater on the family property at 17 and 19 Summer Street. James had started there with a horse stable in 1897, later adding an auto repair shop. Burton’s vision, the luxuriously appointed Fine Arts Theatre, with 400 seats, no balcony, opened on June 29, 1949 with a showing of The Red Shoes. An adjoining second theater, 300 seats, with its own ticket window, was added in 1969. One employee reminisced: "...the projectionist had to scamper across the roof to get to the [projection] booth for the smaller of the theaters." That theater was divided into two parts in 1989. Over decades, Fine Arts lost it lustre (and much of its heat, air conditioning, sound-system and waterproofiness), until by the beginnings of this century it was a threadbare carpets, duct-taped seats and sad bathrooms mess. The Shea family, operating as Deco Entertainment Services, leased the property in late 2002 and started a lengthy rehab process on the interior. Then, in 2013, Burton Coughlan's daughter sold the theater plus the building at 17 Summer Street (originally part of the stables, later Burton's art gallery) to the partnership of Steven Trumble and Melanie Perry. Their extensive rehabilitation process, outside and inside, took far more money and time than initially expected, including twelve months with closed doors and dark screens. Trumble swears that during the remodeling process they excavated and renovated through layers upon layers of movie theater detritus, auto shop, and finally down to the wooden timbers and square-cut nails of the horse stable. So all the more sweet that 65 years after its premiere, the Fine Arts Theatre had its grand (re)opening November 5, 2014 with a showing of the movie Interstellar. As of March 2015 two theaters are operative, albeit with film rather than digital projectors, and plans to complete renovation of the third room are on hold. Fifty of David Mark’s 2012-2014 columns were published in book "Hidden History of Maynard" available at The Paper Store, on-line, and as an e-book. October 10, 1957: A short item on the third page of The Maynard News mentioned that Kenneth H. Olsen and Harlan E. Anderson had formed a new electronics company named Digital Equipment Corporation. Both of them had been employees at MIT's Lincoln Laboratory before striking out on their own. Ken was 31, Harlan 28. They started with 8,680 square feet of space, rented for $3,600/year. For the first three years they were producing electronic test modules for engineering laboratories, meantime working on Phase II of their plan: Digital's first computer, to be named the PDP-1. By October 1961 the company had grown to 265 employees. In time, DEC made Maynard "The mini-computer capital of the world." Olsen was a big believer in numbers. Employees were assigned consecutive numbers based on order of hire, later becoming their badge numbers. Ken was #1 Harlan was #2. The first two women hired were Alma E. Pontz, #5 and Gloria Porrazzo, #6. Women were not rare at Digital. From perusing a list of the first 100 full-time employees, 36 were women. Years later, the main reasons Olsen gave for locating in Maynard were low rent and a local work force with lots of factory experience. Many of the women were walk-to-work Maynardites who had worked in the same buildings in the woolen mill era, 10 to 20 years back. The newly refurbished work area was clean, quiet and well lit, although hot during the summers, as no air conditioning installed until around 1970. Throughout the buildings, summer weather meant lanolin from the old wool-processing days dripping down the walls or from the ceilings above. Alma E. Pontz was the first woman hired. According to her 2013 obituary she had already put in 24 years in the wool business before being hired by Olsen as the first administrative assistant, and thus was more than a decade older than her bosses. She stayed with DEC until she retired 21 years later. Gloria Porrazzo was the first woman hired to work in assembling Laboratory Modules and Systems Modules. These products allowed Digital to be profitable from its first year onward. According to Peter Koch, plant manager, Porrazzo stayed with the company for 25 years, rising to the level of production manager. The 50 to 60 women who worked for her in Assembly were informally known as "Gloria's Girls." They were responsible for inserting electronic components into circuit boards, welds and quality control. Ken Olsen was known to drop in for coffee and a chat with Gloria to keep abreast of any production problems. In time, Digital was not averse to hiring women with technical expertise, but some of the customers had a hard time adapting. Barbara Stephenson, MIT graduate, employee #71, was hired the second year. As posted at www.computerhistory.org: "I was the first woman engineer at DEC. Customers would call for an applications engineer. They would say 'I want to speak with an engineer,' and I would reply 'I'm an engineer,' and they would say, 'No, I want to speak with a real engineer.' I developed this patter: 'Well, tell me about the application you have in mind. We have three lines of modules ranging from five to ten megacycles and …' The line would go dead for a moment and then I’d hear, 'Hey Joe, guess what, I’ve got a…woman…engineer on the phone!'" Women were promoted from within. Maynard resident Angela Cossette was hired as an administrative assistant in 1963 in support for DEC User's Society. DECUS provided a pre-internet forum for computer users to exchange technical information and user-developed software. Cossette moved up to becoming the company's first woman manager, in time with as many as 100 people reporting to her. In her own words "...Digital became very aggressive about giving women the opportunity to grow in their careers and making it possible for them to move into key positions." [Quote from company newsletter Digital This Week.] Cossette retired in 1992. Her comment reflected Digital's self-realization that it had a problem with its history of male dominated culture. A Core Groups program was started in 1977, evolving into the Valuing Differences philosophy in 1984. The stated goal was for the company and its employees to pay attention to differences of individuals and groups, to be comfortable with those differences, and to utilize those differences as assets to the company's productivity. Modest monument to Ken Olsen, corner of Main and Walnut Streets. Digital Equipment Company, for those too young to remember, grew to be the second-largest computer company in the United States, peaking in late 1989 or early 1990 with more than 120,000 employees and ambitions to overtake IBM. Instead, overly-fast growth combined with a series of missteps led to a precipitous decline that finally resulted in a sale to Compaq, which in turn was bought by Hewlett-Packard. All Digital left behind as a name-bearer was the Digital Federal Credit Union, better known as DCU. lights, or days, immobile until night. The rarity of sightings, pale green color and serene flight of these large moths trigger inquires into symbolic meaning and also inspire poetry. This topic has been written about at length in a May 2013 posting of this blog. Briefly, the moths emerge in late May or early June to a 5-10 day lifespan as winged moths. Males seek females by following the trace of pheromones she has released into the night air. He finds her, they mate, she lays 100-300 eggs over a few nights. There is no male display competition. The first male to get to a female is the winner. Horse chestnuts are of the genus Aesculus, not to be confused with edible chestnuts, which are genus Castenea. Within Aesculus, several species are native to North America, while others were introduced; the one we know as horse chestnut (Aesculus hippocastanum) is from eastern Europe. It can exceed 100 feet in height. In May and June is is covered with large clusters of white/red/yellow flowers. These attract bees and especially bumblebees. On quiet mornings the sound of bumblebees can be clearly heard some ten to twenty yards from the tree. Everything worth knowing about bumblebees is found in the book Bumblebee Economics. A key trick to their ability to compete with honeybees is that bumblebees can shiver flight muscles in order to raise body temperature, allowing them to harvest nectar at early morning air temperatures which bees avoid. The large brown nuts which fall from spiky pods in the fall are informally known as conkers, and if from an American species common in the mid-west, buckeyes. Unlike American Chestnut, the wood from Horse Chestnut has poor decay resistance. It is also of low density compared to hardwoods, and thus not desirable for building nor as firewood. about two inches, atop a stem 6-12". The Pink Lady's Slipper (or Lady Slipper) is indigenous to eastern U.S. and Canada. This is the most common of several species found in Maine. This member of the orchid family is not easy to grow as a potted plant, nor away from it's natural habitat, as it requires partial shade plus the very acidic soil one finds in pine/spruce/hemlock forests. Better to admire it in situ. This is New Hampshire's official state wildflower. WEATHER: Not easily portrayed by a photo, but weather trends are affecting southeastern Maine which also impact the Damariscotta area. The U.S. National Oceanic and Atmospheric Administration (NOAA) has weather data for Portland, Maine dating back to 1870. Over this period annual precipitation has increased by 18% (from 40 to 47 inches) while average temperature has warmed two degrees and snowfall decreased by 13% (from 75 to 65 inches). As so much of nature's seasonal timing is temperature driven, there are noticeable shifts. Alewives (an ocean-living, fresh-water spawning fish) move into rivers to spawn when the water temperature exceeds 51 degrees Fahrenheit. The photo shows the top end of the fish ladder at Damariscotta Lake. This is the latest in a string of constructions intended to allow alewives to detour around the mill dams. After breeding, the alewives return to the ocean. A check against old records would probably confirm that alewives now return to the lake weeks earlier than in the past. Like salmon, the alewife can become a landlocked (100% freshwater) species. Wherever this happens, the freshwater fish breeds to a smaller size - closer to six inches compared to the ocean visitors' 10-12 inch length. These lake-bound fish can succumb to massive die-offs whenever the water warms too much. Lake Michigan's beaches have been the scene of hundreds of tons of rotting fish washing up onto the sand. KieveWavus is a non-profit corporation that runs a boys' camp and a girls' camp on Damariscotta Lake. Kieve has been in operation since 1926. Traditionally, a bell is sounded to mark mealtimes and other camp schedules. In 2010 Kieve purchased and installed a larger bell next to the dining hall. The design is plain - no adornment except for "BUCKEYE BELL FOUNDRY 1910" along the crown. Dates can signify the origin of the company or the manufacture of the item in question; in this case the latter. Buckeye Bell Foundry was started in Cincinnati in 1837, going through several owners before Ezra W. Vanduzen and his heirs ran it from 1865 until closed circa 1950. [Church bell manufacture in the U.S. ceased in 1939 because metal was needed for the war effort. It is not clear if Buckeye produced bells after the war.] Thousands of Buckeye bells can be found in churches and other installations the world over. This one is 30 inches across at the base, weighs approximately 550 pounds (the mount and mechanism weighing another 500-600 pounds), and the bell sounds a "C."
LOBSTER: Obviously, no lobsters are harvested from Damariscotta Lake, but anyone who visits Maine without dining on lobster at least once is a fool. (Or a vegetarian. Or keeping kosher. There are ongoing debates whether lobster is halal or haram.) Maine's catch per year has been topping 100 million pounds the past few years, with an expectation that 2014 will be similar. Thirty years ago the catch was consistently under 40 million. So far, "off-the-boat" prices are a bit higher than the lows of 2012 and 2013. There is a sense that the increased yield is a consequence of warmer water, far fewer lobster-eating fish, plus a tightly regulated harvest practice that returns egg-bearing females, too small, and too large lobsters to the ocean. These practices promote reproduction. STONE WALLS: Much of southern Maine and neighboring states are woodlands threaded by stone walls. It helps to know that during the Colonial era stone was the last choice of materials for fencing fields. Farming through the 1600’s consisted of laborious clearing of small fields for vegetables, corn and livestock feed. These plots were bordered by cut brush and branches. The fields were stump-filled and worked by hand. As the brush fences rotted they were replaced by fences made of logs laid horizontally so the ends would overlap as the fence zig-zagged along the edge of a field. The goal, always, was to keep livestock out of the fields. underside of a glacier. Grooves align north to south. Later still the stumps of trees cut to clear the fields were rotten enough to pull out of the soil and were laid along the edge of a field. As stones emerged through the eroding soil they were added to the fences. Stump fences were functional but not handsome; hence the old-time insult “Ugly as a stump fence.” When the stumps rotted away, post and rail fences were built over the growing rows of stones. By the end of the Revolutionary War much of New England was almost denuded of trees. What wood was left was needed for building materials, cooking, and heating buildings. Stone fencing tall and strong enough to contain cattle took a day’s work from two men equipped with an oxcart to gather stone and build 10-20 feet of a fence. Most of what we see crisscrossing New England was a hybrid of wooden post and rail over stone, laid down between 1775 and 1850. Barbed wire, the easier solution, was not perfected until 1874. The stony soil of New England is the result of being worked over by several ice ages. Post-Colonial northern Maine still had significant treelands, but southern Maine became sheep country. By 1870, Maine had more sheep than people (as did New Hampshire and Vermont). Sheep pasture was also typically post and rail over stone, sometimes augmented by barbed wire. July 2017 update: the house at 165 Summer Street was sold August 2016. After 68 years, this appears to be the end of Sid's Airport. Start with a Google search on Maynard MA. Select the Maps option. Zoom in a couple of clicks. Drag the map so that it is centered on the west side of town, just north of Summer Street. You will see a designation: "Sids Airport." A switch to satellite view will confirm a grassy airstrip. At this point, say to yourself "Really?!?" Next time you are driving west on Summer Street, remember to glance to the right two houses after passing Durant Avenue on the right. Voila! Sid's Airport. Sidney H. Mason created his backyard airstrip in 1948 (the same year Orville Wright died). Sid was 28 at the time and an Army veteran. He and three friends bought a used Luscombe 1946 8A in 1947 for $1000. Sid bought out his partners soon after. The plane was a two-seater with an all aluminum body and wings, powered by a 65 horsepower engine. The airstrip was carved out of what had been an extensive Mason family farm that dated back to at least 1875. In fact, back in the farm days, the family had two runways, and many of the pilots in Maynard and nearby towns kept their planes there. Sid was still flying in the left hand (pilot's) seat as late as 1997, age 79. A few years before he gave up flying he had switched over to a 1955 Cessna that needed a bit more runway than his private airstrip provided, so he started using Stow's Minute Man Air Field. 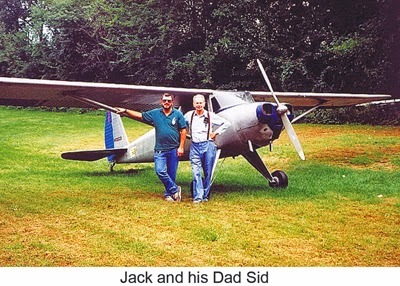 In the meantime, Sid's son - Jack Mason - had taken up his father's hobby while still in his teens, earned his pilot's license, and was flying a Vector Ultralight in and out of the backyard. This meant that their landing strip continued to be an active, FAA-numbered airstrip (MA52). Sid also soloed the ultralight now and then. By the way, the official U.S. definition of an ultralight is a one-seater that weighs less than 254 pounds empty, carries no more than five gallons of fuel, and has a top speed of 63 mph. The limits are crucial, because going over any one of them redefines the object in question as an aircraft requiring registration, and the user, a pilot's license. Under those limits and it is defined as a vehicle that just happens to be airborne, requiring no registration or license. Run the timeline forward to 2012 and Jack Mason had just became the proud owner of a 1946 Luscombe 8E (a model with a bit more horsepower than his Dad's old plane). He won the plane in a lottery. By choosing a propeller that maximizes take off and climbing power, he has a vintage but modernized plane that can be flown in and out of the landing strip behind his house. Thus, while the plane lives at Stow's airport, Jack can start a voyage from there, stop home for lunch, then head out again. Or just step out the back door and into an ultralight. Sid Mason passed on to the big airport in the sky in 2005. His life-long love affair with the air is memorialized by his tombstone, as it portrays his Luscombe in flight, with the plane's registration number N72025 on the side. Orville had a rueful but still optimistic opinion after that war ended: “The aeroplane has made war so terrible that I do not believe any country will again care to start a war.” However, by 1946, having lived long enough to witness a second world war, the invention of jet airplanes, and the dropping of atomic bombs, he was resigned to his invention being just one more tool of war.